Issues of oral, dental, or even general body health. 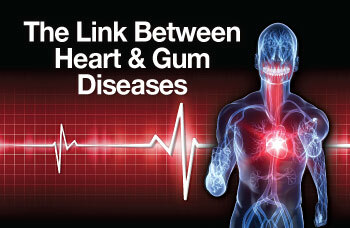 There is a mother interesting study linking heart and gum disease found at the Huffington post. A new study in mice adds more weight to the link between heart disease and gum disease. For the study, researchers infected with four kinds of bacteria that are known to cause gum disease. Once the bacteria had been carried into the hearts and aortas of the mice, they measured levels of known heart risk factors — such as cholesterol and inflammation — and found increases in the levels of these risk factors. “Keeping teeth and gums healthy is important for your overall health, but current data don’t conclusively indicate whether regular brushing and flossing or treatment of gum disease can cut the incidence of atherosclerosis, the narrowing of the arteries that can cause heart attacks and strokes,” according to a 2012 AHA statement. With 25 years of being in practice, #RandDental is a full service dental practice. We have a periodontist on staff. At #RandDental we treat periodontal disease with non – surgical techniques, surgically and with laser periodontal treatments. Laser therapy can be used to reduce the bad bacteria in your gums and return your gums to a healthy state. Call today for your appointment: 973-927-8800. Visit us at RandDental.com for more office information.